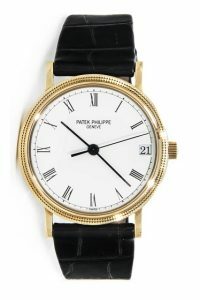 Pre-owned, LIKE NEW CONDITION, WITH ORIGINAL PATEK PHILIPPE NON DATED OPEN PAPERS, AND PASSPORT WALLET. 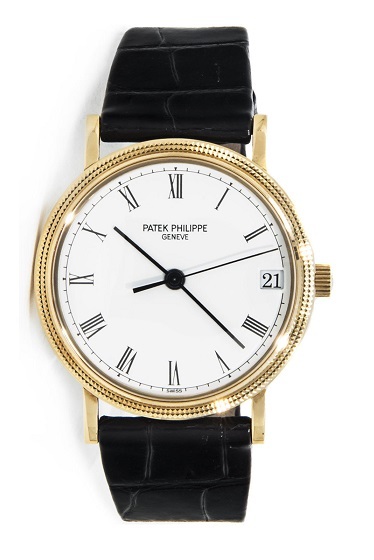 Traditional 33mm, 18KT, yellow gold, with date indicator, elegant white porcelain dial, and automatic movement, with solid gold case back. It is available with original Patek Philippe black Lizard leather strap, with RARE, folding depolyant buckle. Retail new $26,800. OUR PRICE $16,900. EXCELLENT BUY! To purchase this watch CALL US 956.687.2981.